You love learning about people through programs, shows and exhibits. You want to know more about the people behind the discoveries—their feelings, motivations and experiences. This is the itinerary for you. 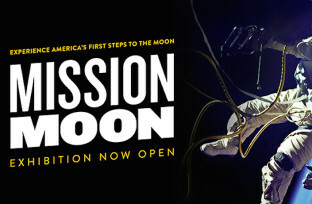 In Mission Moon, find out how the United States became the first nation to put a man on the Moon, learn what it’s really like to be an astronaut, and understand why it takes a team to explore uncharted worlds. At the Historic Atwood Sphere, experience the night sky over Chicago as it appeared in 1913. Let one of our amazing staff identify the stars and constellations you see. Explore the hottest (and coldest) hot spots in the Solar System in an unforgettable 30-minute tour with your personal tour guide, Jesse. Destination Solar System offers a great way to discover new places or see a new side of a familiar destination. Tours launch daily from the Adler Planetarium’s Grainger Sky Theater. Be part of a dynamic dialogue with researchers from the University of Chicago’s Kavli Institute of Cosmological Physics (KICP) who provide first hand accounts of their work which is taking place at the South Pole, deep mines, and distant mountain peaks in Chile. Every Saturday from 1-3 p in the Space Visualization Lab. You explore cutting-edge science concepts through programs, shows and exhibits that give it to you straight. You love hearing what “the experts” have to say. And, if you could, you’d collect the data—and do the analysis—yourself. This is the itinerary for you. Be transported to the distant corners of the cosmos in The Universe: A Walk through Space and Time. Encounter the Universe from its meager beginnings and see how galaxies, stars, planets—and all the atoms in your body—were created as the Universe grew. 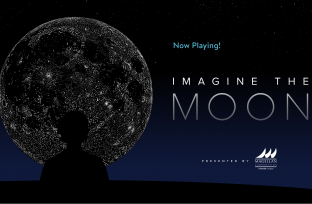 Explore how the Moon has inspired human creativity, learning, and exploration ever since we have looked at the sky, at the Adler’s newest show, Imagine the Moon. Meet the people behind the science at the Adler. In our Space Visualization Lab, exchange ideas with Adler space science and technology experts and learn more about ongoing Adler projects in our weekday program Astronomy Conversations. Over the past several decades, scientists have partnered with the public to help do real science when human eyes and thinking are still better at analysis than computers. Do real science by checking out one of the many Citizen Science projects available on the Adler website! Itinerary Three: Get in there and try it! You are always curious to discover how things work. You take things apart, put them back together, and can’t wait to try it again. You’re looking for exhibits, show and programs that let you “get in and try it!” This is the itinerary for you. The Community Design Lab challenges you to solve hands-on, minds-on activities. What are you waiting for? Dive into a challenge. Experiment and play. Let’s do science together! Explore the spectacular sights of the night sky with a live planetarium show. Skywatch Live! uses real-time digital graphics to create an accurate scientific simulation of tonight’s sky. Use what you learn in the show to observe and identify everything that’s visible in this evening’s sky. Collaborate with creative people to solve interesting problems at one Adler’s annual Hack Days. Check our website for the next date. You’re here with young kids who are super excited, curious explorers! You’re looking for exhibits, shows, and programs that will spark their interests and foster creative interactions and conversations. This is the itinerary for you. 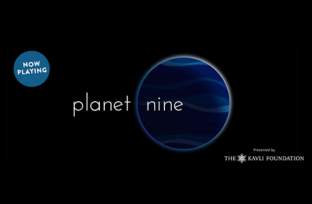 Let your family adventure from Earth through space to the imaginary Planet X without ever leaving the planetarium. In Planet Explorers you’ll climb, crawl, pilot and excavate your way from the familiar to the unknown, all the while discovering a new world. Explore the night sky with your favorite friends from Sesame Street in One World, One Sky. Follow Big Bird, Elmo and their friend from China, Hu Hu Zhu, as they learn about the Big Dipper, the North Star, the Sun and the Moon. Calling all explorers between the ages of 2 and 6! Check out Young Explorers’ Mondays, where children and their families can try stellar hands-on activities like Fly a Kite, Stories Under the Stars, and more.